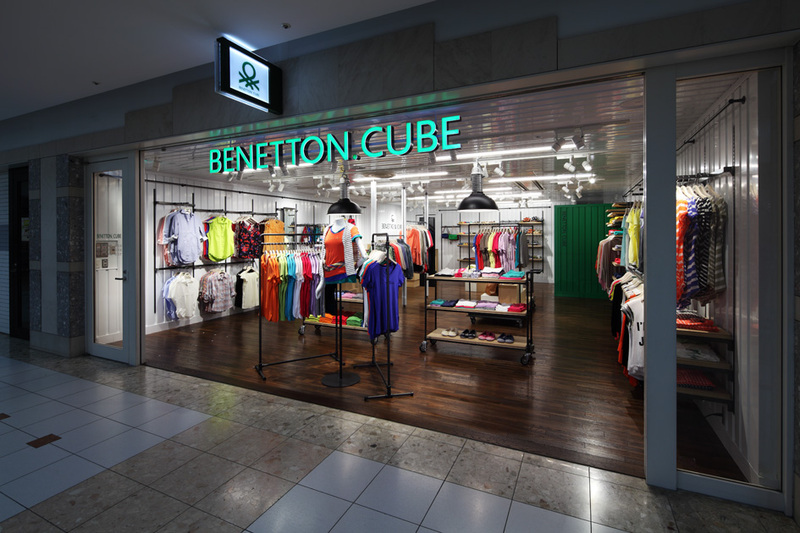 Benetton opened one of their new “Cube” stores in Sapporo in April, following on the success of a Cube store they opened in Tokyo’s Shibuya area in October last year. 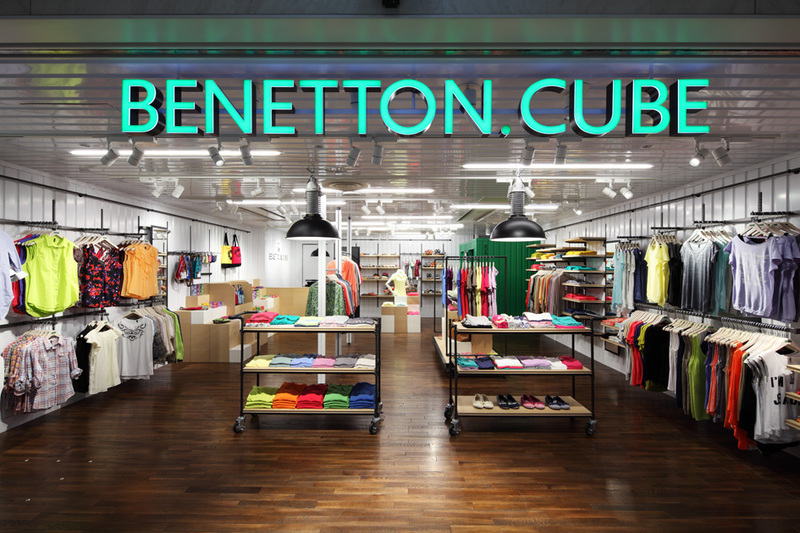 The new Cube store concept in general is to create small urban shops, and for the Sapporo store in particular Jamo created a back story in which the Cube store becomes a shipping container and the brand’s famous knitwear is just now being unloaded into Japan. 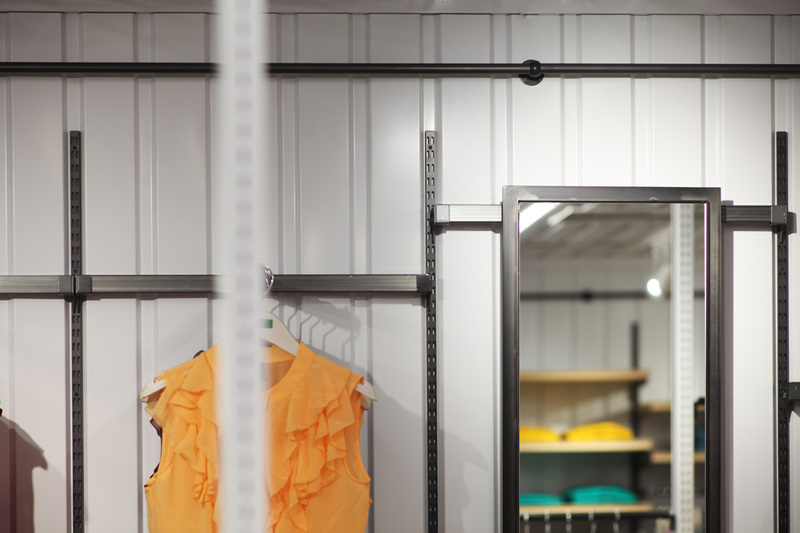 This is seen in the corrugated steel plate walls, a material nomaly not used in interiors but which bring an interesting visual component through the play of fluorescent light and shadow on its surface. 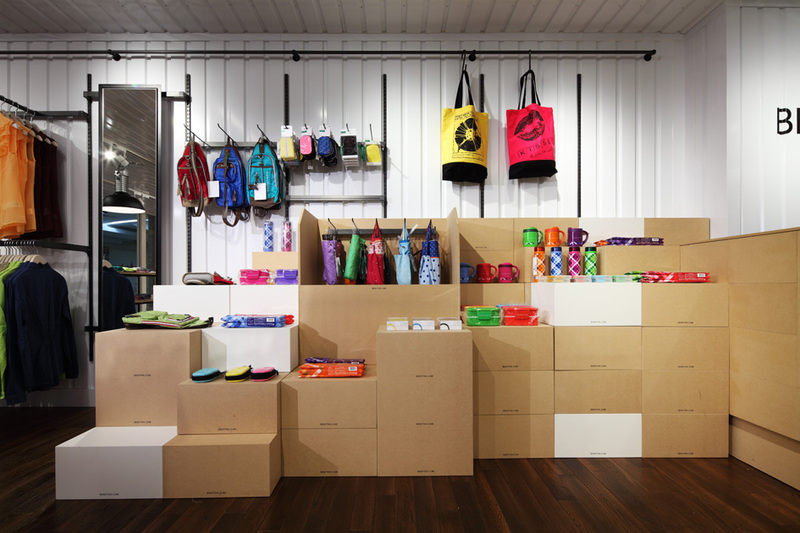 Jamo uses these twomateriours and other details to differentiate the store from others one sees around Japan these days and to create the feeling of having found a shop inside a shipping container. 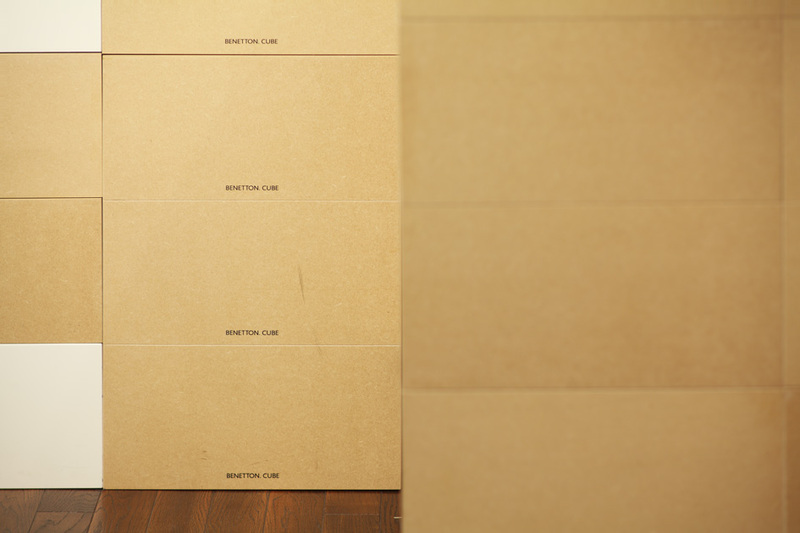 Adjustable display fixtures made out of MDF to resemble cardboard boxes were developed in response to Benetton’s request for a flexible interior that can be set up in different ways.